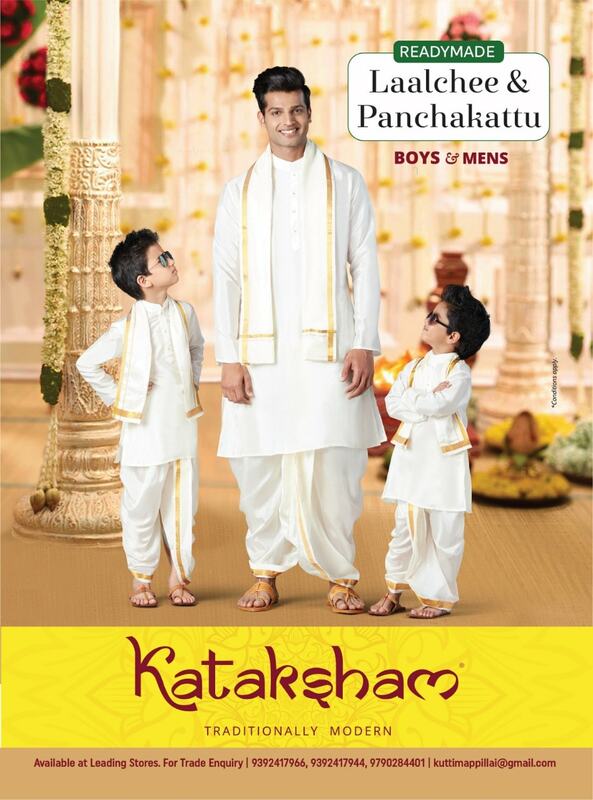 Kataksham is a manufacturing house that deals in traditional wear for grooms and boys for different traditional occasions. 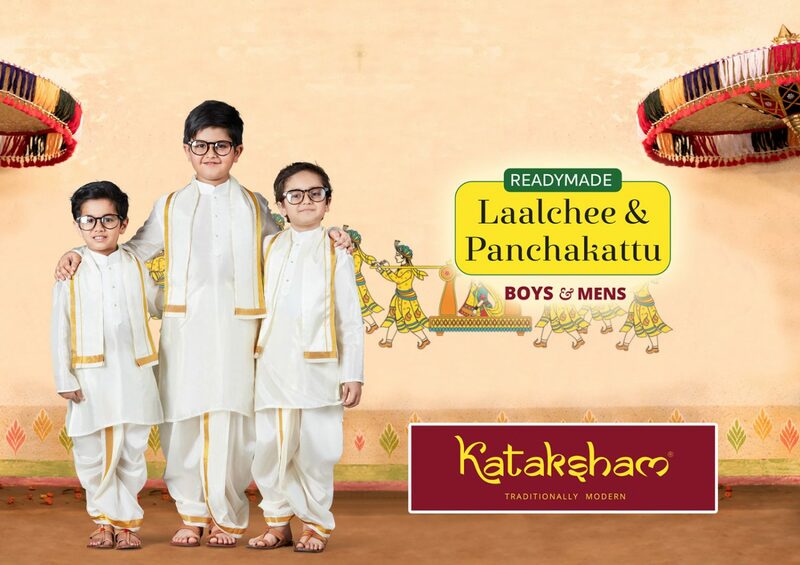 Readymade Lalchee and Panchakattu traditional wear for men and boys are what we specialize in. 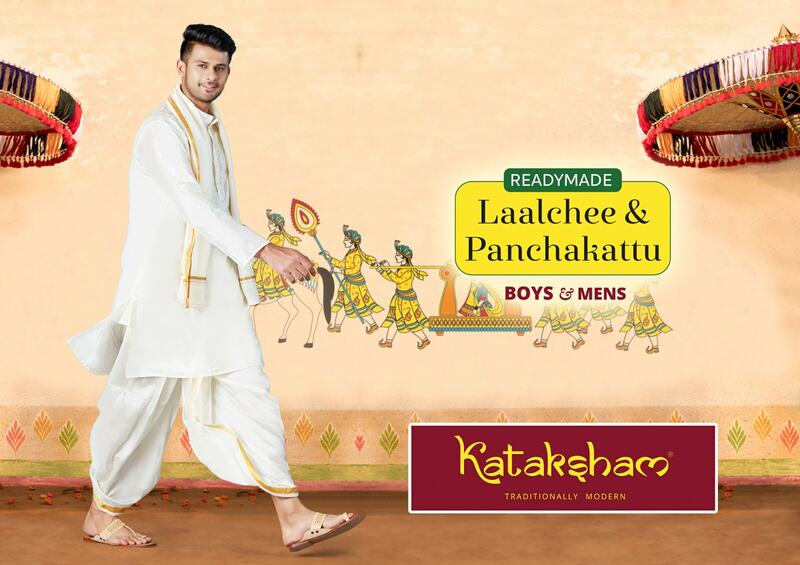 Kataksham came up with the concept of Readymade Lalchee and Panchakattu for Grooms and Thodi Penlikodukku (boys that are along with the grooms). Our traditional clothes are made of Art Silk. 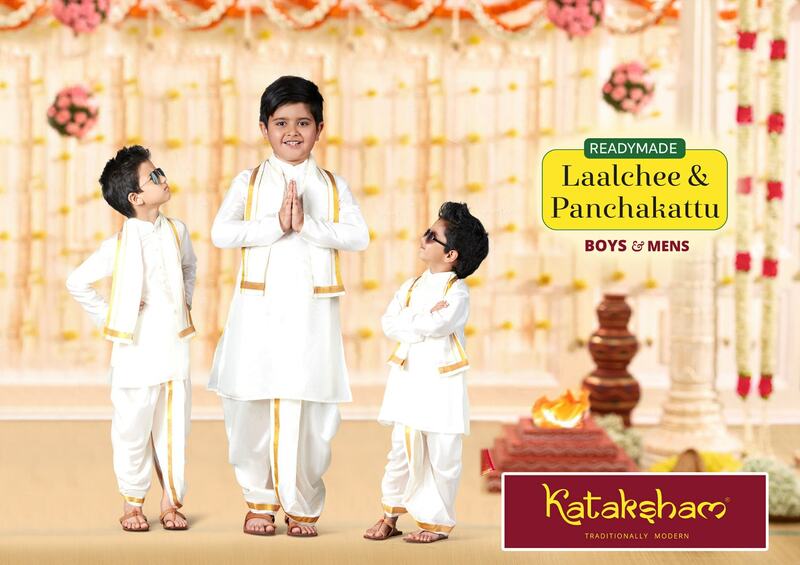 Elastic has been used in the Laalchee and Panchakuttu, which makes them easy to wear. 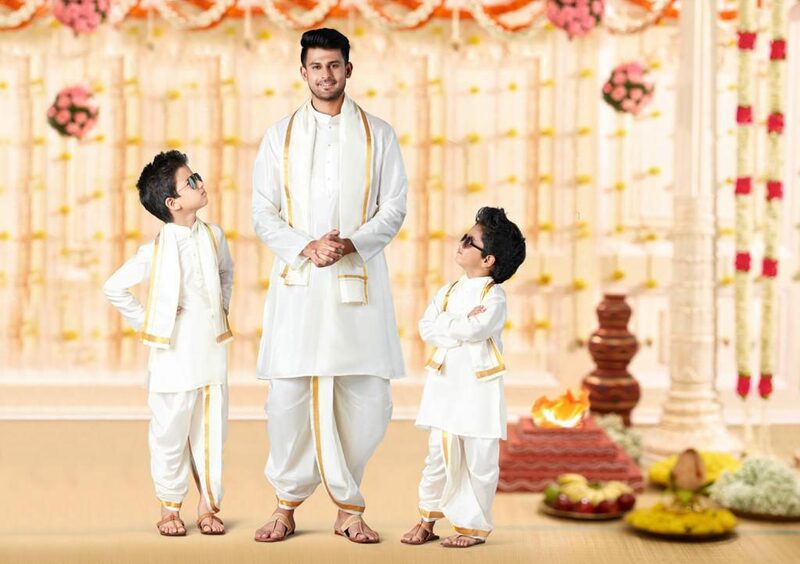 Designed and Developed by Omnia Digital LLP.